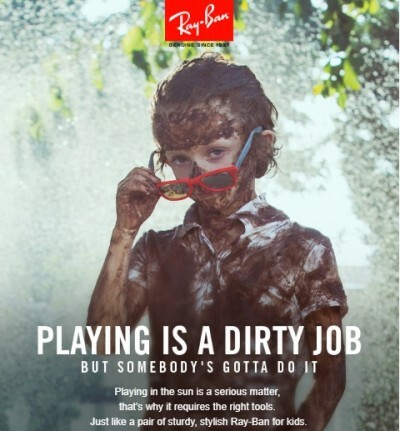 Playing is a dirty job - but somebody's gotta do it. Playing in the sun is a serious matter, that's why it requires the right tools. Just like a pair of sturdy, stylish Ray-Ban for kids.